Kids who claim to hate dried fruits and nuts have warmed up easily to these. 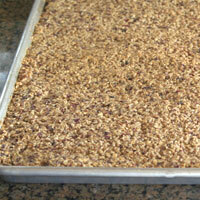 Everything is ground small enough to give it a smooth even flavor while still mainting a good texture. 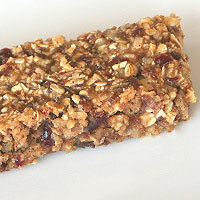 They look like a granola bar, but are quite soft and chewy. In a large bowl measure and mix the dried fruit, nuts, coconut, and powdered milk. 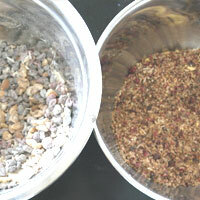 Working in batches pulse in a food processor or blender into a coarse even mixture. How is looks after processing. Quick oats are about the size the nuts and fruits are after they are processed. 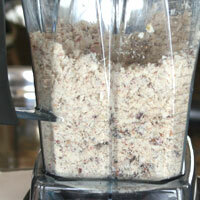 If you use old-fashioned oats pulse them in the blender seperately so they will be the same size as everything else. You may be able to substitue other syrup, but you'll miss some nutrition and flavor. 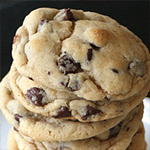 Work in batches or the food may stick to the bottom of the food processor or blender. If it starts to slow down, scrape the bottom and run it again. Dried fruit can be hard on the motor and burn it out. Donâ€™t over process or it will be paste-y. Donâ€™t under process or it will have large chunks. Add oats and salt. Mix well. Add syrup, eggs, and vanilla. Spray a jellyroll pan with cooking spray. Press down to make it even. Bake 20 minutes until slightly browned. Wait 20 minutes then slice and serve. Good covered at room temperature 2-3 days. Refrigerate up to a week. Freeze up to 4 months. 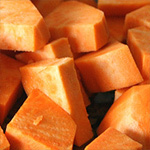 The biggest problem is burning out the motor in your food processor or blender. If the fruit starts to stick. Turn it off and scrape the bottom, so you can continue to process it. 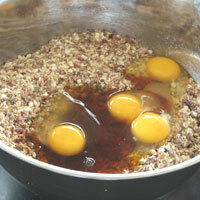 Mix all of the dried ingredients except the oats at the begining. This helps it not stick so much when processing it. 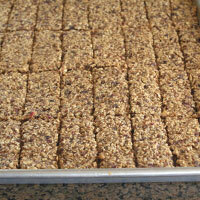 Don't process the quick oats or they'll turn to flour giving your bars a bread-like consistency. 1. Preheat oven to 350. 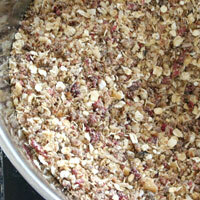 In a large bowl measure and mix the dried fruit, nuts, coconut, and powdered milk. 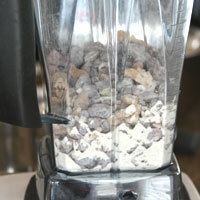 Working in (3)batches pulse in a food processor or blender into a (4)coarse even mixture. 2. Put mixture into a large bowl. 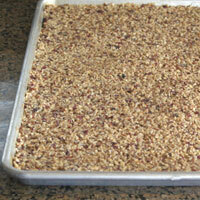 Add oats, salt, and brown sugar. Mix well. Add syrup, eggs, and vanilla. Mix well. 3. 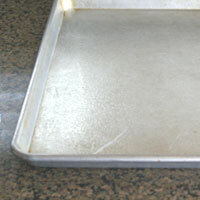 Spray a jellyroll pan with cooking spray. 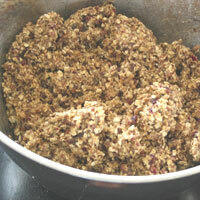 Spread mixture onto pan. Press down to make it even. Bake 20 minutes until slightly browned. Wait 20 minutes then slice and serve. Good covered at room temperature 2-3 days. Refrigerate up to a week. Freeze up to 4 months. Choose fruits that taste good together. Some can be overpowering so use less of those. Strong flavors: craisins, cherries, and pineapple. Mild flavors: apricots, raisins, and dates. Some nuts can be overpowering as well, so choose a good combination. A bit of cinnamon is good depending on the fruits and nuts you have chosen. Also be careful on the salt, you may not need to add additional salt if the nuts are very salty. 1. 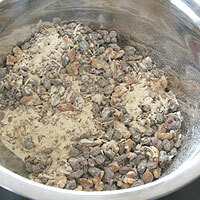 Quick oats are about the size the nuts and fruits are after they are processed. 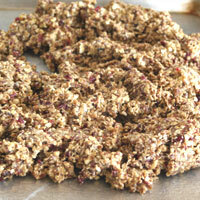 If you use old-fashioned oats pulse them in the blender seperately so they will be the same size as everything else. 2. You may be able to substitue other syrup, but you'll miss some nutrition and flavor. 3. 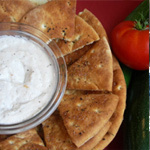 Work in batches or the food may stick to the bottom of the food processor or blender. If it starts to slow down, scrape the bottom and run it again. Dried fruit can be hard on the motor and burn it out. 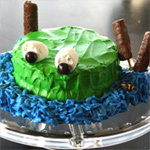 4.Don’t over process or it will be paste-y. Don’t under process or it will have large chunks.